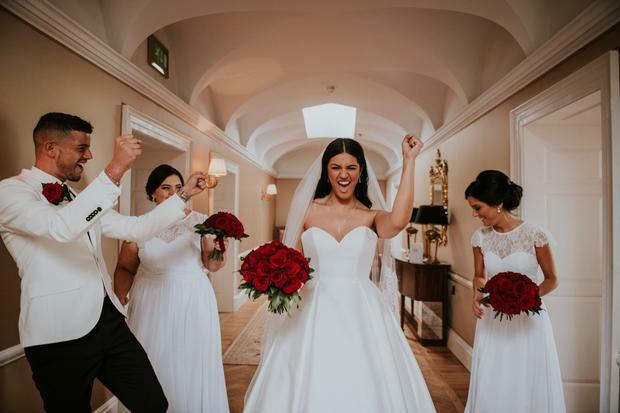 Tia and Dermot exchanged vows in St Colman’s Cathedral in Cobh before a very Irish reception at Castlemartyr Resort - complete with Tayto sandwich cart! 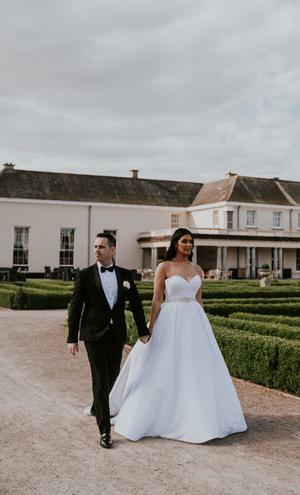 It was 2014 - Tia had just moved back to Ireland from New York (where she spent her time as an in-demand plus-size catwalk model) and Dermot was keen to nab the chance of a date with the jet setting beauty. 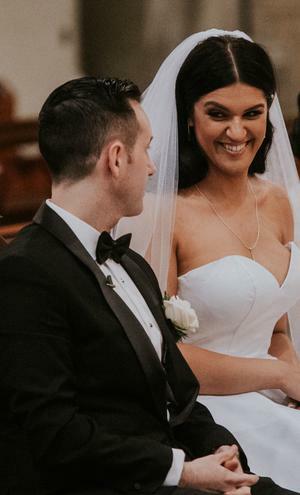 Things went well, clearly, and Dermot asked Tia to spend forever with him on Christmas Eve 2017, when they returned to the same spot they had their very first date. 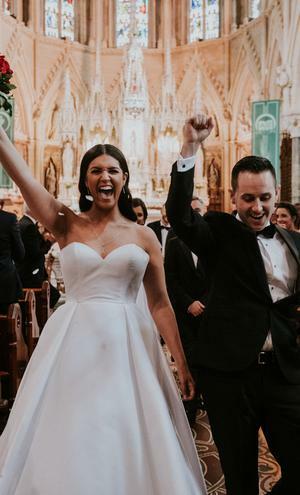 The couple tied the knot in the height of summer this year, exchanging vows in St Colman’s Cathedral in Cobh where Tia says her wedding morning nerves dissipated as soon as she saw her husband-to-be waiting for her at the top of the aisle. 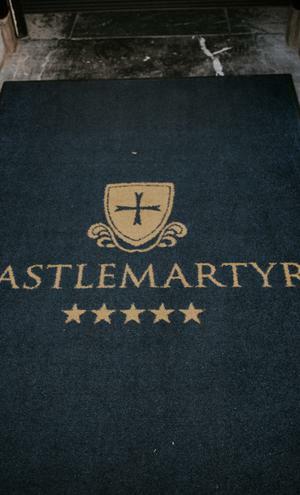 After the ceremony, Tia, Dermot, and their guests headed to the luxurious Castlemartyr Resort in east Cork where they made sure energies were kept high by having a Tayto cart serving crisp sandwiches later in the evening - which, as one could imagine, went down particularly well with their Irish guests! 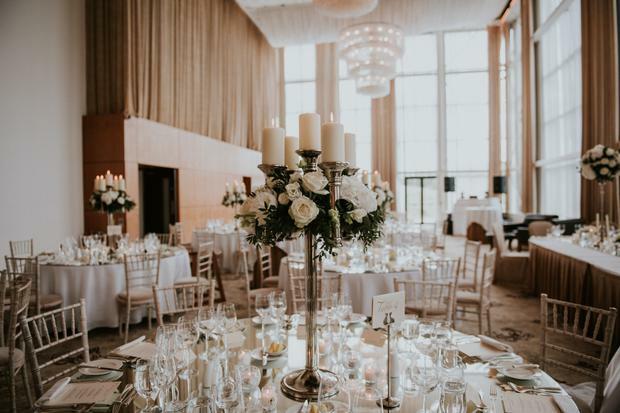 Tia tells THEVOW.ie she wanted a classic, timeless wedding, where the little details felt special - "I didn't want to go over the top," she explains, "but [I wanted] to include little details that made it personal." 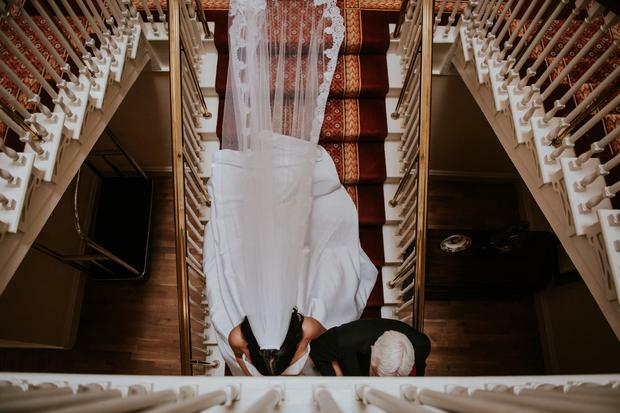 Their day was documented by wedding photographer Emma Russell. 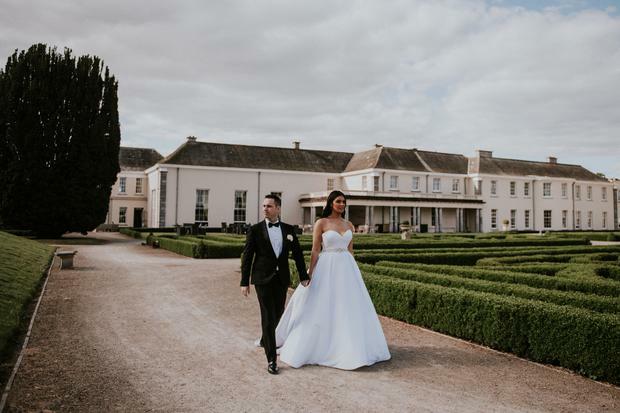 The stunning, sprawling gardens are what drew the couple to Castlemartyr Resort initially, and they particularly loved the feel of exclusivity to the venue. "It's is so unique and unlike any of the other venues I went to see," says Tia. 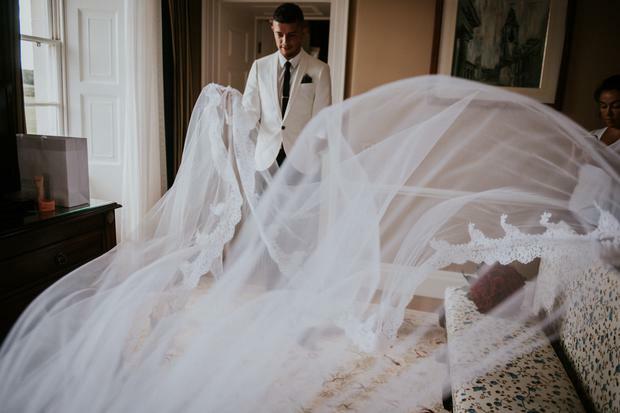 On the day, it didn't disappoint - "The day before [the wedding] we got the Presidential Suite as opposed to the Bridal Suite," says Tia, "it was an entire floor of the hotel! It was a surprise and I really blew me away." 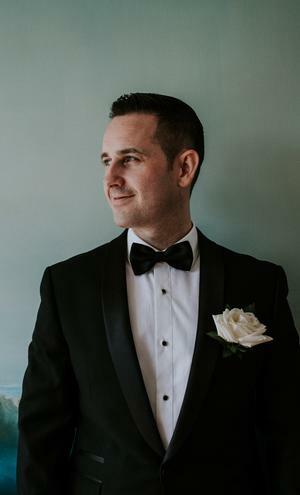 The couple wanted a classic and timeless wedding, without too much fuss but with details that would make the day feel extra personal to them. 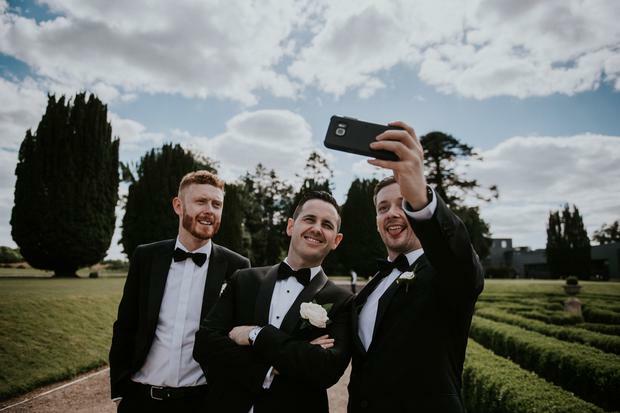 "I had an orchestra playing in the ballroom at Castlemartyr Resort because I love music," the bride explains. 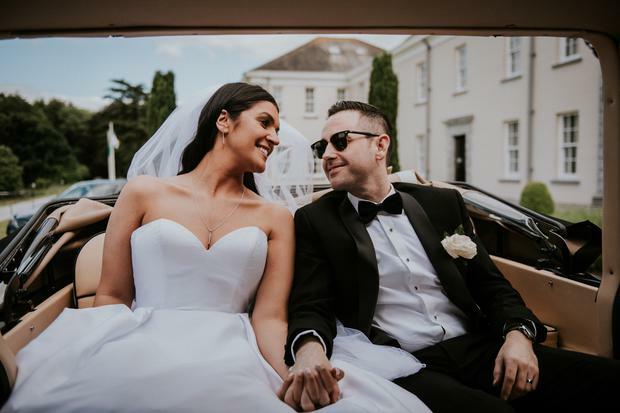 In the evening the couple had a Tayto cart set up at the venue serving crisp sandwiches in the evening to give it that extra Irish touch - "which people really seemed to enjoy". "I did enjoy the planning part!" Tia says. 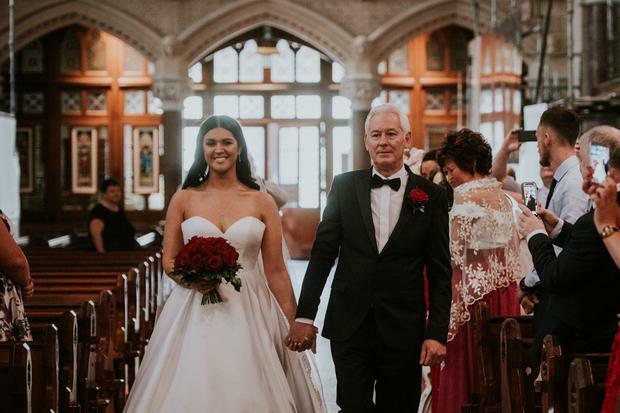 Tia walked down the aisle at St Colman’s Cathedral in Cobh with her father, which she says was a particularly wonderful moment: "I was very nervous," she recalls, "but the minute I stepped inside and seen my friends and family and husband waiting, everything was okay." 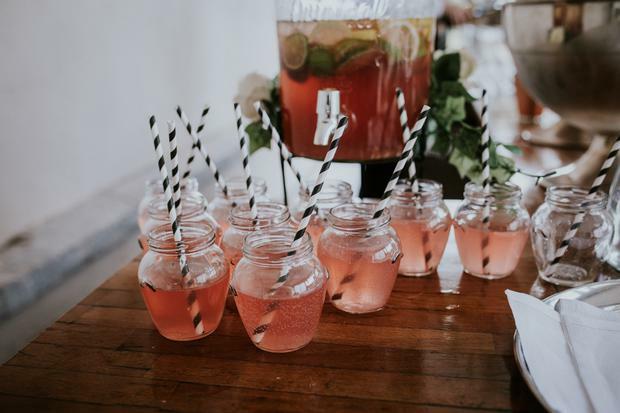 However it wasn't the only stand-out moment of the ceremony, as Tia laments: "Another distinctive moment was when the priest took us back behind the church and gave us a drink of water towards the end of the ceremony. He told us to live in the moment that the day would pass so quickly so he wanted to give us a few moment alone. He was so right because I remembered that moment the most." 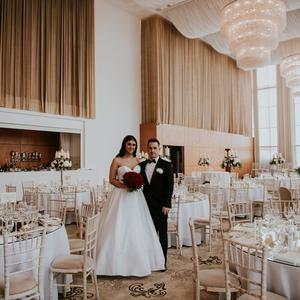 Tia wore a beautiful A-line ballgown by Essence of Australia, which she purchased in a bridal boutique called Becker's Bride in Toronto, Canada, where she currently resides with her new husband. 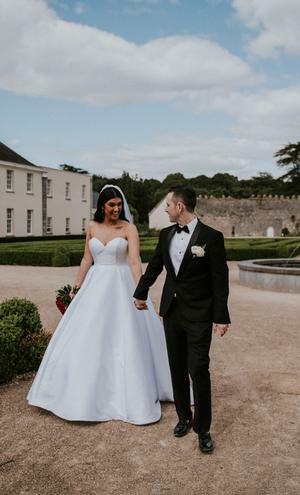 Her gown featured a flattering sweetheart neckline, but there was one little detail that made it all the more stylish and comfortable on the day - it was a wedding dress with pockets! Tia purchased bridesmaids Elaine and Leanne's white dresses online from jjhouse.co.uk (she also had a bridesman in her party - her best friend from childhood John Paul), while groom Dermot looked slick in a Hugo Boss suit which he wore with a white suit with black buttons (not an easy find, notes Tia!). "Try not to get bogged down in the planning of the day," says Tia. "Your relationship and time together is so much more important than the day itself. 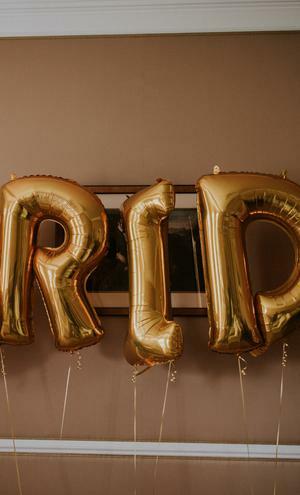 It can be super stressful for those who allow it to take over... when it’s all over it's the sentimental things you’ll remember the most - not the centrepieces or the dress." Tia and Dermot minimooned in Powerscourt House & Gardens in Powerscourt Estate, Wicklow, and plan to travel next summer for a month-long honeymoon, the location for which, is still TBD.